Podcast: Episode 9 – I'm King of the Moon! 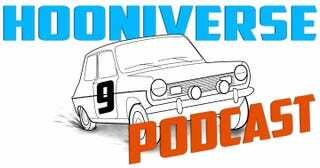 Episode 9 has arrived and I'm joined by Zack Klapman from The Smoking Tire. We talk about the new Lexus IS, the 2014 Nissan GT-R, some random stuff from my trip to the 3M headquarters, and provide an update on the Pontiac Firebird. Head over to Hooniverse to get the latest episode.